Michael Valentine is a consultant and executive coach with over 25 years of experience working to improve business results for companies in a wide range of sectors. He has held senior leadership positions in some of the best-run companies in the world in operations and Human Resources. Michael has extensive experience in managing organizational change and developing teams and leadership talent. As a part of The New York Times Leadership team (2008-2012), Michael played an integral role participating in and facilitating the change effort that reshaped the business. Before his tenure with The NY Times, Michael held leadership positions at Publishers Circulation Fulfillment as Vice President and Chief Operating Officer, Cutler Hammer in its International Division; Allied Signal (Honeywell); RJR Nabisco; Pepsi Co; and Johnson & Johnson. Michael’s consulting experience incorporates his expertise working with teams and leaders in environments of complex or disruptive change. 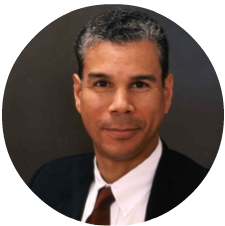 Through his affiliation with telos, Michael provides consulting in Strategy and Talent development, high performance teaming, and change management. Michael is an executive coach with certifications from the Hudson Institute of Santa Barbara and Case Western Reserve University. Michael received his Juris Doctor (JD) from Temple University School of Law and holds a BA in political Science from The Citadel, The Military College of South Carolina, where he also received his commission as a US Naval Officer. He completed his PhD from Antioch University in Leadership and Change in 2016. Michael is married to the love of his life, Maria, has two sons, Michael Jr. and Daniel, and spends his private moments running with his two rescue dogs, Lola and Goliath, and training for his next marathon.